In the past, student veterans had only 15 years to take advantage of their educational benefits through the GI Bill. Thanks to an expanded version of this bill—called the Forever GI Bill—veterans can take as long as they want to complete their educational endeavors. Specifically, the bill—which President Donald Trump signed in early August 2017—will restore benefits to veterans who could not continue their education due to school closures since 2015. In addition, Purple Heart recipients, reservists and surviving dependents will receive special benefits. The bill, which will go into effect next year, is expected to cost $3 billion over the next decade. The GI Bill has been revised several times since it was first introduced in 1944. The last expansion was in 2009. According to the Department of Veterans Affairs, 79 percent of veterans enrolled in college last year were beneficiaries of this most recent expansion. 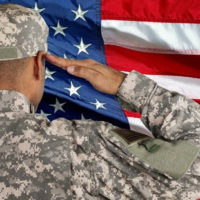 Read on to learn more about the new benefits offered by the Forever GI Bill. In the past, only certain veterans were eligible for the Yellow Ribbon Program. Now, surviving spouses and children will also get to benefit from this program, which reduces or eliminates education costs not covered under the GI Bill. Many for-profit schools shut down in 2015 and 2016, disrupting the education of many veterans. These vets will get their benefits restored and will be able to transfer their earned credits to new schools. To protect against future school closures, vets will be eligible for housing stipends and other forms of reimbursement. Veterans are given more incentive to enroll in science, technology, engineering and math degree programs. Because these programs often take five years to complete, the Forever GI bill will cover an additional year of study. Some vets will also be eligible for scholarships of up to $30,000. Many Purple Heart recipients did not meet the requirements for GI Bill benefits in the past. Once the new bill goes into effect, 1,500 vets who have been Purple Heart recipients since Sept. 11, 2001, will be eligible to receive these benefits. In the past, only the servicemember had the authority to determine how unused benefits are to be transferred to dependents. Under the revised bill, once the servicemember dies, a dependent can make changes and transfer benefits to another dependent. You’ve fought long and hard to protect your country. Now it’s time for your country to give you the education you need to take the next step in your career. It can be difficult, however, to get the benefits you are entitled to receive. That’s why you need someone with experience on your side. Contact the Law Office of Michael Lawrence Varon in White Plains to learn more about VA benefit eligibility and the various processes. Call his office at 914-294-2145 to schedule a complimentary consultation.